What’s My Auto Accident Case Worth? Have you been injured in a car accident in Colorado? A seasoned personal injury attorney can help you decide the value of your claim and whether filing a lawsuit is the best course of action to take. Whether you’ve just suffered an auto accident, you’re in the middle of treating your accident-related injuries, or your attorney has just presented the liability insurance carrier with a settlement demand outlining your damages, you will be expected to prove, or quantify, the injuries you’ve sustained before you’ll be able to collect an injury award. Damages include what your injuries have cost you monetarily, physically, and mentally. Although some damages, such as medical bills and lost wages, are fairly simple to put a dollar amount to, others — like pain and suffering, and the loss of enjoyment of life — are more complex. Since some damages may not even become apparent until months or even years after the accident, how can you make sure that you’ll receive compensation for these future damages? The purpose of this white paper is to provide guidance for calculating damages in a personal injury case and to explain why quantifying damages is a critical process that can greatly impact a settlement and the financial security of an accident victim’s family. So, What’s My Case Worth? Most personal injury plaintiffs have one question on their mind when they meet with their attorney: How much do you think my case is worth? People usually hire accident attorneys because they don’t know or understand the full value of their case and how to go about getting compensated for it. Although quantifying personal injury settlements is far from an exact science, there is a very general formula that attorneys and insurance adjusters sometimes follow to get a rough idea of what a case might be worth. Personal injury damages are generally quantified, or calculated, based on the severity of the injuries sustained. Compensatory damages are intended to compensate the plaintiff for economic or intangible losses or injuries, while punitive damages are designed to punish a wrongdoing defendant for especially egregious conduct. The Colorado legislature has sharply limited punitive damages, making them available only if it is proved that the defendant has committed fraud, malice, or recklessly dangerous conduct. A punitive damage award generally may not exceed the amount of the compensatory damage award. Property Damage. Even a seemingly minor accident can cause thousands of dollars of damage to a vehicle. If your car is totaled, you will need to consider the cost of a new car as well as any rental car fees you will be required to pay while your car is being repaired or replaced. Property damage also includes personal property damaged or lost in the accident and can involve anything present in the vehicle during the accident, including clothing, eyeglasses, CDs, cell phones, work equipment, and laptop computers. Physical Injuries. Physical injuries are one of the more straightforward types of damages to quantify, simply by adding up the cost of accident-related medical charges. These can include ambulance trips, emergency room charges, hospitalizations, diagnostic tests, doctor appointments, medications, surgeries, medical equipment, therapies, pain management, rehabilitation, and other medical procedures. If your physical injuries are permanent, your attorney will also ask your primary physician for an opinion regarding the cost of future medical treatment for accident-related injuries and factor that in as well. How much time from work was lost? How much income did you lose? Will you be able to perform your work duties post-accident, or will retraining be necessary? If retraining is necessary, what will it cost? As a result of the accident did you sustain a permanent disability that will result in a long-term wage loss claim? Will your injuries significantly lower your future earning capacity? Pain and Suffering. While pain and suffering are very real for many people, it also is typically very hard to put a dollar value on. Generally, the more significant the injury the greater value of the pain and suffering claim. Loss of Enjoyment of Life. Loss of enjoyment of life is the loss that results from physical impairments resulting from an injury that severely limits the accident victim’s future ability to share in the amenities of life. While it is usually not too difficult to present evidence that the injury has impacted the plaintiff’s lifestyle and capacity to engage in some of the activities enjoyed before the accident (such as hiking, biking, playing with his children, or even sitting long enough to watch a baseball game or travel in a car or airplane), quantifying these losses can be another matter, since loss of enjoyment of life involves the quality of a person’s life, which is inherently speculative and cannot be measured definitively in terms of money. Awards for loss of enjoyment of life are far from automatic. They must be carefully presented and proven with some degree of reasonable certainty, from the initial claims stage all the way through litigation, if applicable. In Colorado, loss of enjoyment of life is considered a non-economic damage and awards are capped. Different caps may apply according to the circumstances, and the limitations are adjusted according to inflation. Loss of Consortium. This is another damage that is difficult to quantify. Spouses of personal injury victims may receive compensation for loss of consortium, or the loss of the emotional and intangible elements of marriage, such as loss of affection, solace, comfort, companionship, society, assistance, and sexual relations. Because loss of consortium damages are considered non-economic, an award is typically left to the discretion of the judge or jury, and experts maintain that these types of damages will most likely be awarded in cases involving a spouse who was killed or very severely injured. What Part Does Fault Play in a Damages Award? After a general calculation is used to determine your damages, one other factor is considered: your fault for the accident. 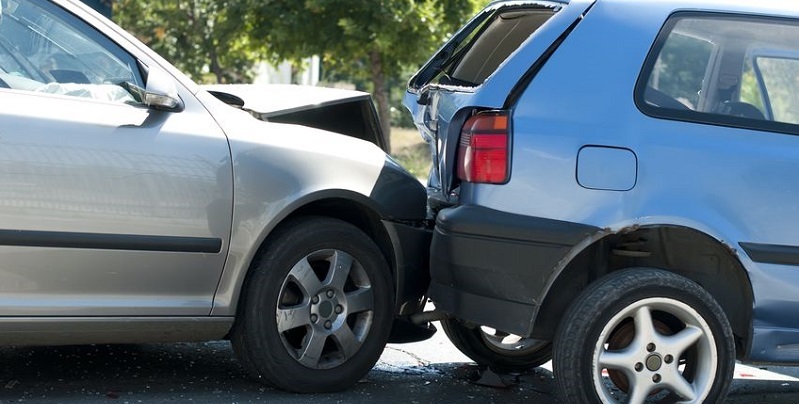 Most states follow shared-fault rules in personal injury cases, that is, where more than one party may be to blame for the accident, by determining comparative and contributory negligence. Colorado uses the modified comparative fault rule, which reduces a plaintiff’s total damages award by whatever percentage of the fault the judge or jury believes belongs to him or her. So if you were partially at fault for the accident that caused your injuries, the percentage of your fault will be calculated and deducted from the initial calculation, directly reducing the amount you receive when your Colorado personal injury case settles. The law in most states, including Colorado, specifies that plaintiffs must take reasonable steps to minimize, or mitigate, the impact of the harm caused by the accident, meaning they must promptly seek medical attention and comply with their doctor’s treatment plan or their damages award could be significantly reduced. At the beginning of the negotiations process, an insurance adjuster will typically add up the total medical expenses related to an injury. These expenses are commonly referred to as the “medical special damages,” or “specials.” In order to come up with a way to compensate an accident victim for general damages — pain and suffering, permanent disability, and emotional damages — the adjuster will multiply the amount of special damages by one-and-one-half to three times if the injuries are relatively minor, and up to five or more when the injuries are catastrophic, particularly painful, or long-lasting. He will then add in any lost wages, and the total medical specials multiplied by 1.5 to 5 plus lost income, and that total becomes the starting point that settlement negotiations are based on. Insurance adjusters almost never tell an injured party what formula they used to arrive at what they believe your claim is worth, or even admit that they are using a formula at all. What is important to remember is that the figure arrived at by multiplying special damages is only the starting point toward reaching a settlement amount. After this starting point is established, other facts about the accident and your injuries will come into play and help shape the final award. Several factors will help your attorney and the insurance adjuster determine what your personal injury case is likely worth and which formula to use, based upon the circumstances surrounding the accident and your quantifiable damages, both economic and non-economic. The more serious and visible any permanent effect of the injury may be, the higher the formula. There are many variables to how personal injury settlements are calculated, and no two injuries and cases are alike. Since each case is unique, the results are virtually impossible to predict, but generally, the more accurately injuries can be quantified, the more favorable the result for the plaintiff. No matter the type and severity of the injury you have sustained, an experienced personal injury attorney can guide you through the complex process of quantifying your damages, can present your demand for compensation to the insurance company, and can dramatically increase your odds of a fair recovery. If you’ve been injured in an auto accident anywhere in Colorado, please contact our office for a free consultation about your case.